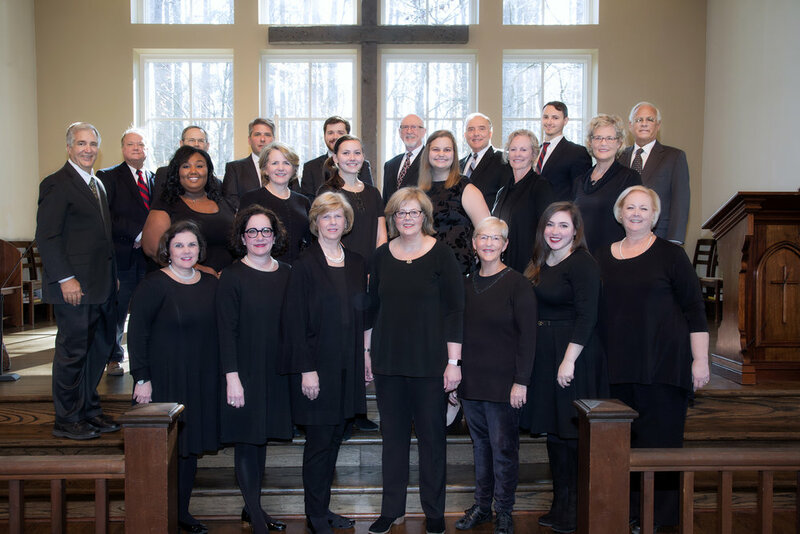 The Adult Choir of Saint Stephen’s is a dedicated group of volunteers who serve as worship leaders for the 9:00 and 11:15 services. 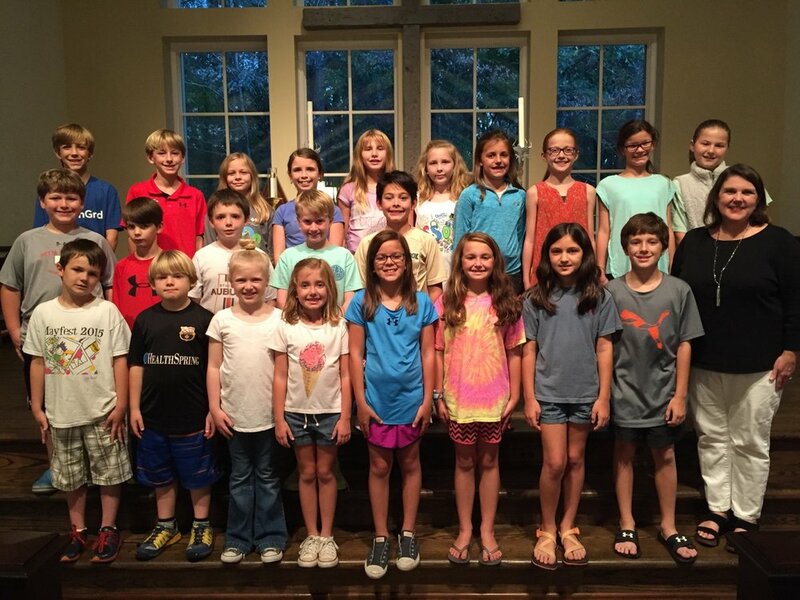 Our members have wide and varied backgrounds in music, and many have sung in our choir for more than 20 years! The choir sings both sacred and more contemporary anthems. We also prepare and present special offerings for events such as The Service of Lessons and Carols and The ECW Christmas Party, as well as some funerals and weddings. Professional guest musicians often join us to accompany our offerings. At Christmas and Easter, a string quartet accompanies our worship music. The Adult Choir rehearses on Wednesday nights from 7:15-8:30 PM and on Sundays at 8:30 AM to prepare for the 9:00 service. Come and join us with your joyful voice! Contact Whitney Page to schedule an informal placement audition. Come make a joyful noise unto the Lord! Children in 4k preschool through 12th grade are invited to join our choirs. Choirs rehearse September through May. Our Choirs sing or ring once a month during the school year. Celebrating Children Sunday, Christmas Eve, Easter, and Mother's Day are always on our schedule. The Junior and Youth Choir will join the Adult Choir in presenting The Service of Lessons and Carols in December and may sing with the Adult Choir on other occasions as well. The Junior and Youth Choirs serve as worship leaders for the 4:00 Christmas Eve Eucharist. They may also be asked to sing Offertory Anthems and lead the worship music for the morning services throughout the year. New members are welcome to join our vocal choirs at any time. Please Contact Whitney Page for more information. Come and join the band! The music for the 5pm service is a mix of music that mostly comes from the Alleluia III Hymnal, a folk music collection created by the Diocese of Alabama. At 4pm, a range of musicians gather to rehearse and then preform the 5pm music. Currently, people play guitar, mandolin, cello, violin, harmonica, and bass. A regular commitment is not required as many musicians drop in when they are available. 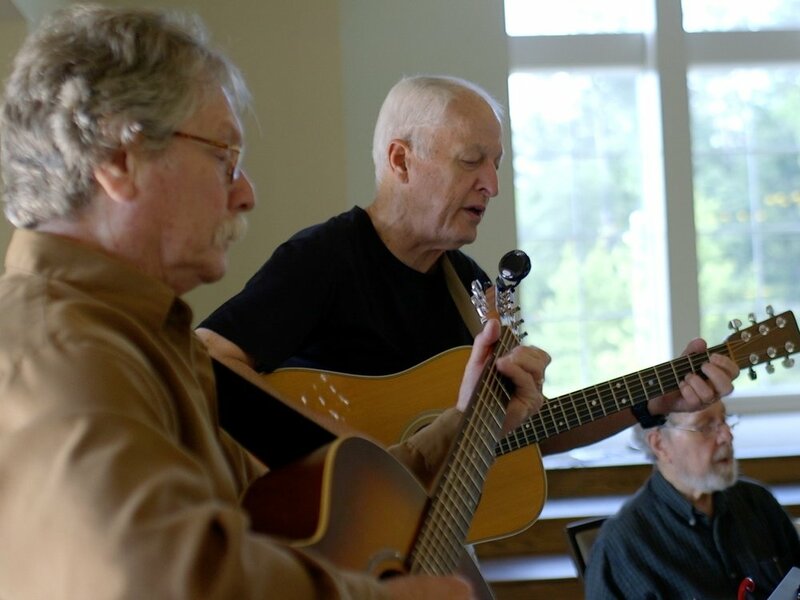 Music is led by Andy Meginniss, member of the Alabama Bluegrass Music Hall of Fame. To be added to the musician email list, contact Andy Meginniss at andy.meginniss@att.net.